I’ve received a lot of inquiries about how I treat low blood sugars when they occur, living the Paleo lifestyle, with T1D. Not easy, and something that I was fearful, of prior to starting Paleo. Now, I’ve become so comfortable with it, I don’t give it a second thought. Honestly, this was one of the biggest hurdles for me, and the thing I was most nervous about. The honey stinger, vanilla almond milk, organic mashups, POM Juice, Naked juice, fresh fruit, and GlucoLift are fast acting carbs, for me (you might be surprised how fast acting they are for you, too, especially, red seedless grapes). The Chocolate Agave #9, and Lara Bars, are slower acting. It depends on how fast I’m dropping, if I have insulin working, if I’m performing some type of activity, etc. If I’m sitting at my desk and it’s 2:30 in the afternoon, with just a faint memory of lunch bolus left, but I’m on the lower side, I’ll eat an apple or other fresh fruit, free of charge, sometimes a Lara Bar. If I am at home, getting ready for bed, after a walk with my Lucy dog, and I’m hovering a little lower than preferred, I’ll pour and drink 6-8oz of vanilla almond milk and call it a night. If I’m hiking and at a good level, but with a lengthy distance, I’ll have a Chocolate Agave #9 (OMG, DARK CHOCOLATE AND AGAVE), tastes like the best dark chocolate frosting, ever, with only 2 ingredients! Depending on the patterns I’ve seen, I will adapt. I take my lunch to work almost every day, and when I don’t, I pack extra fruit, juices, etc. just in case I need them. Sometimes, it may be a sip, and other times, it might be the whole bottle; either way, I’m prepared. At first, it really didn’t seem that convenient to me, but it is more convenient than you’d think, healthier (vitamins and minerals, instead of high fructose corn syrup, etc. ), and actually pretty easy (can you throw a banana in your purse, grab an apple out the door? Probably!). Apples, pears, bananas, grapes, etc. are just as “fast” as starburst, smarties and caramels. Is it 100% Paleo, no. Do I always have a choice with T1D? No. I do the best I can. 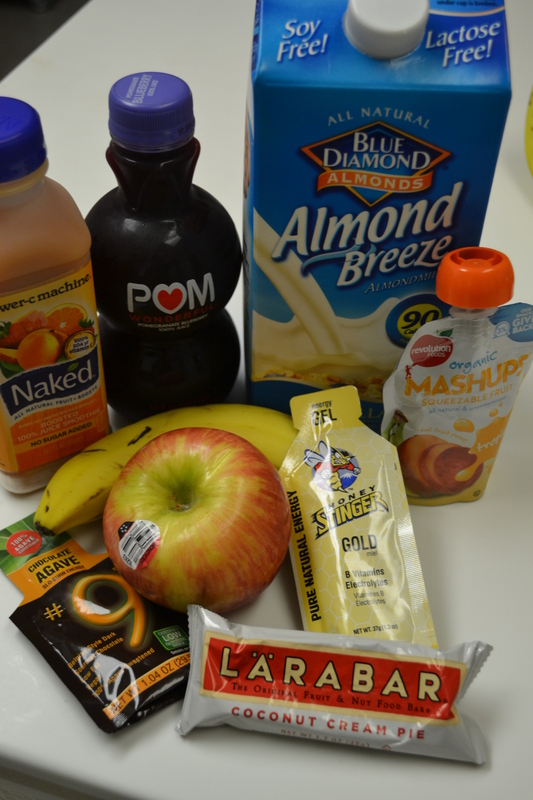 This entry was posted in Diabetes, Food and tagged Blue Diamond Almond Milk, Chocolate Agave #9, Fruit, GlucoLift, Honey Stinger, Lara Bar, Low Blood Sugar, Naked Juice, Organic Mashups, Paleo, T1D, Type 1 Diabetes by livinglikelinds. Bookmark the permalink. This is fantastic! Whether you’re a strict paleo or not, I think many have a strong desire to treat lows with healthy/natural food items, rather than refined sugar. I always try to stick with some of these for which I know the cab count in order to avoid overtreating. The fruit in a pouch is one of my faves! How do the GlucoLift tablets taste? I’m kind of sick of my current chalky meh-ness. WOW, what a long way you have come. AMAZING!!!! Thank you for this! I realize that we may not have a choice, but I would like to stay close to the paleo lifestyle when treating a low. Before I would just hammer down anything in my sight. Not anymore! Thanks again! I have this printed out and pinned on the inside of my kitchen cupboard to remind me.